The city of Izmir, Turkey, have had a competition for the design of their new Opera House running for quite a while now. The latest entry to be released to the general public is a stunning piece by Turkish firm, Nüvist. 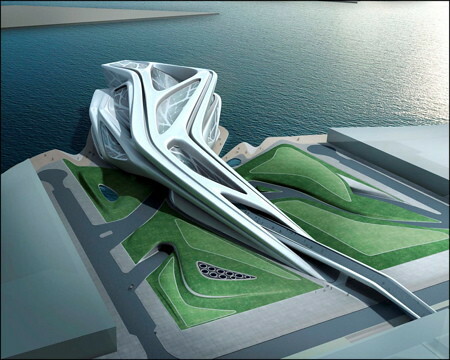 The form they have produced is extremely organic and natural – very reminiscent of Zahid Hadid’s work in dubai. This flowing form enabled the architects to use the shape of the site to its maximum, and create beautiful overhanging spaces to provide shelter for visitors as they approach the front entrance. These final renders show how the building has a delicate look to it, almost ethereal to the eye. Although I love the design, i’m not sure whether this futurustic, alien like shape will lie well within its local surroundings. Izmir isn’t exactly known as a city which pushes progressive architecture forward. For that reason I feel other entries like the Ozel Offices entry, or this entry by Kutlu İnanç Bal and Hakan Evkaya would be more suited. Which entry has been your favourite so far?